This examination is being given to fill (1) one vacancy in the Ambulatory Care Services (ACS) division - Infectious Disease/Oncology Clinic and to establish an eligible list to fill future full time or part time premium vacancies in ACS. Resumes will not be accepted in lieu of an application. A completed application must be postmarked or received online by the final filing deadline. The Ambulatory Care Nurse in the ID/Oncology Clinic will work with patients in the infusion room and provide blood transfusions. The ideal candidate will possess experience in this area and will be expected to obtain chemotherapy certification within the first year of employment. Additional information on the scope of duties is discussed with referred candidates during pre-employment hiring interviews. The Staff Nurse III-Ambulatory provides direct patient care and guidance to clinic staff such as Outpatient Clinic Assistants and Licensed Vocational Nurses in various clinics at San Joaquin General Hospital and satellite clinics. The Staff Nurse triages patients and determines appropriate scheduling or referral of patients; monitors clinic workflow and scheduling, and provides professional nursing care to patients receiving care and services. Substitution: Possession of a Bachelor’s Degree in Nursing may be substituted for the required experience. Licenses and Certificates: Current registration as a nurse in the State of California; or possession of an interim permit issued by the State of California Board of Registered Nursing.  Special Requirement: Possession of a San Joaquin County Basic Life Support (BLS) certificate, Advanced Cardiac Life Support (ACLS) certificate, successful completion of an approved Chemotherapy training course, or other approved training or experience may be required for assignment or continued assignment to specialized nursing units.